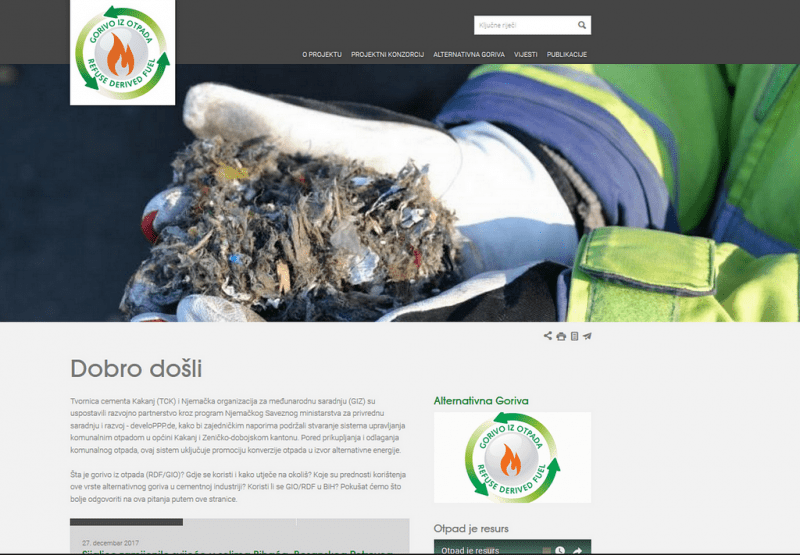 Within the project “Co-Processing of municipal waste as an alternative fuel in the cement industry in BH”, the web site www.alternativnagoriva.ba was created, which, among other things, should provide information on alternative fuels in BiH – both for the project activities and the interesting articles related to the ecology. The content of the site itself should be affirmative and should be able to provide information to visitors on used and waste potentials related to the alternative fuels. You can open the page on the link Alternativna goriva u BiH. Also “Alternativna goriva” is on the Facebook, on the link Alternativa goriva na FB.